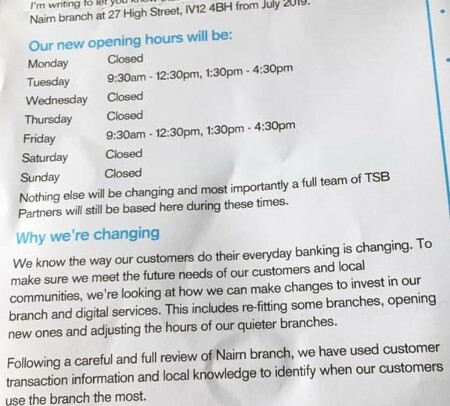 Below is the information concerning the hew hours contained in a letter sent to a local customer of the TSB. It'll be Tuesdays and Fridays only from July. The retreat of banking services from Nairn High Street continues! 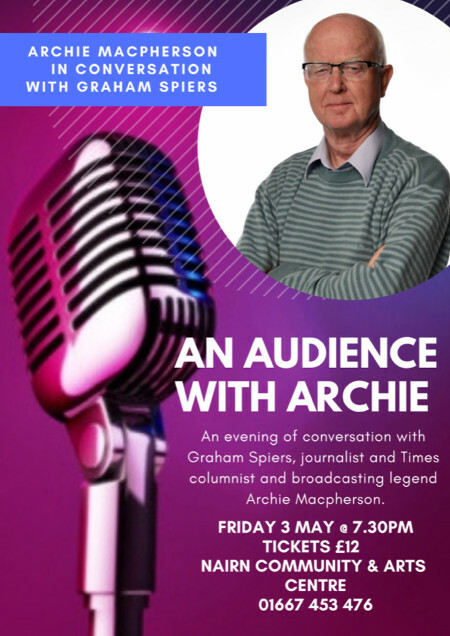 Brian told the Gurn: "the story behind all this is of course the tragic loss of a long-time Nairn resident, NCCC member and regular cricket player Neil Gibson who sadly lost his life a year ago in a snowstorm while climbing in Wester Ross. The bodies of Neil and his brother Alan and their dog were found after many days of searching, by the Torridon Mountain Rescue Team. 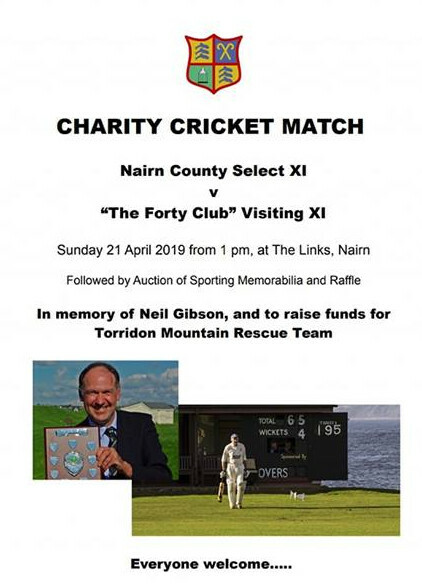 So in memory of Neil, and to benefit the Torridon Mountain Rescue Team, the cricket club decided to organise this cricket match as a fund-raising event. We're playing against a visiting team from "The Forty Club", a group of cricket enthusiasts and veterans drawn from clubs around the country. We've got an assortment of sporting memorabilia to auction after the game including a bat signed by Ricky Ponting (Aussie test cricket captain and star batsman), a signed photo of the England T20 team, and also signed footy shirts from NCFC and Caley.... and various other items and raffle prizes." Sandown Allotments phase 2 - seven years on from the first preparatory work onsite. Nairn is still the envy of many other communities when it comes to allotment provision. 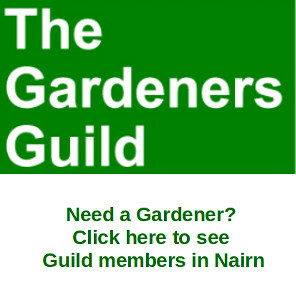 At one time in the not too distant past two-thirds of all allotments in the Highlands were in Nairn. The waiting list for a plot in Nairn is not too long either compared with elsewhere with some applicants obtaining a plot within a year. A lot of folk have visited Nairn to get ideas for plots in their communities. The lower picture was taken this weekend. 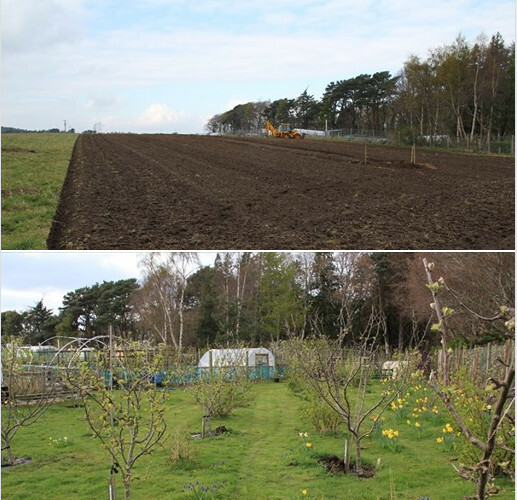 As Nairn grows hopefully there will be more spaces like Sandown for people to grow their own fruit and vegetables. It is remarkable what individuals can achieve when they have access to land. "We are aware that many parents in Highland are concerned about the proposed cuts to Additional Support Needs and the loss of PSA posts. This will have an impact not only on the pupils supported by the ASN team, but on all pupils in a class. Nairn Academy Parent Council have met with the local councillors and they are taking our concerns forward to Highland Council. If you would also like to take action please see the Highland Parent Council Partnership website here where there is lots more information and a draft email to send to local councillors and Highland Council." Whatever happened to the idea of a LIDL store for Nairn? Recent conversations on social media about development at Balmakeith next to Sainsbury's got this observer thinking of way back when in 2014 when there was a consultation event in Nairn where we were shown pictures and plans of how a proposed Lidl store would look. Here's a Gurn article from the time. And here are images we took at the consultation event that showed us what we might have been getting. And it seems the consultation process was well received by Nairn residents. Hi @LidlGB In Sep 2014 there was a consultation event in Nairn for a Lidl to be built (Developers Ziran). Pics, plans etc, we gave our views then heard no more. 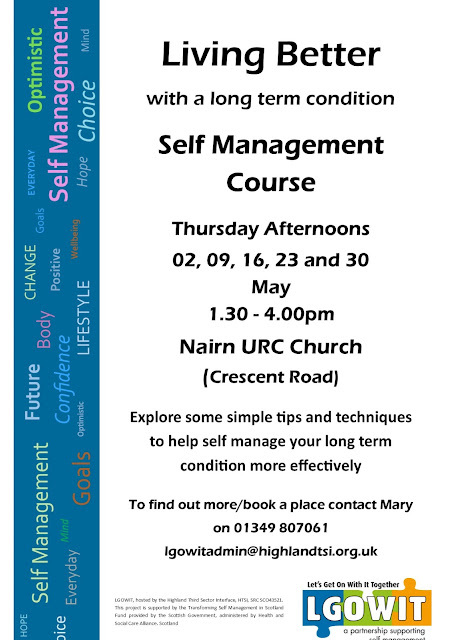 Do you still have plans to come to Nairn? I'm sure most shoppers would welcome you. Hi, thanks for getting in touch. Unfortunately we don't have any news to share regarding this at the moment. Sorry for any disappointment this may cause. That's that then folks, doesn't look like we will see a Lidl in Nairn in the near future anyway. It is a pity because it is a cheaper shop and some families in Nairn do not have the ability to travel for bargains and so have less choice. Very good too to see Donna Manson, Chief Executive of Highland Council, at the meeting. From what she had to say it looks like the new dawn has finally arrived with a team at Glenurquhart Road looking at ways to speed up Team Hamish initiatives. She obviously wishes to rebuild the relationship between this community and the Council. It might not be too long before the proposal for the paddling pool area goes forward for planning permission and that will be followed by the amphitheatre idea for the bank close to Jame's Cafe. Interesting times indeed for our community. Below is a link to a report of the evening from Andrew Randerson of the ever-popular Nairn - Our Town - Our Views Facebook page. 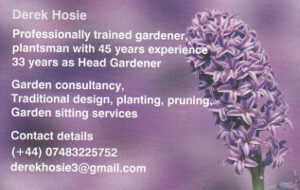 The Team Hamish designs should soon appear online too. 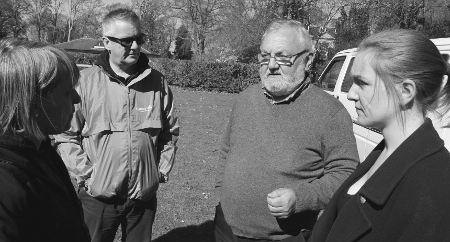 "Battle lines have again been drawn over parking charges in Angus, as moves to remove the fees in some towns are set to go before elected members next week. The opposition SNP group are demanding free parking in Kirriemuir, Brechin and Carnoustie, where they say the charges have brought “devastating effects on the fragile town centres”. 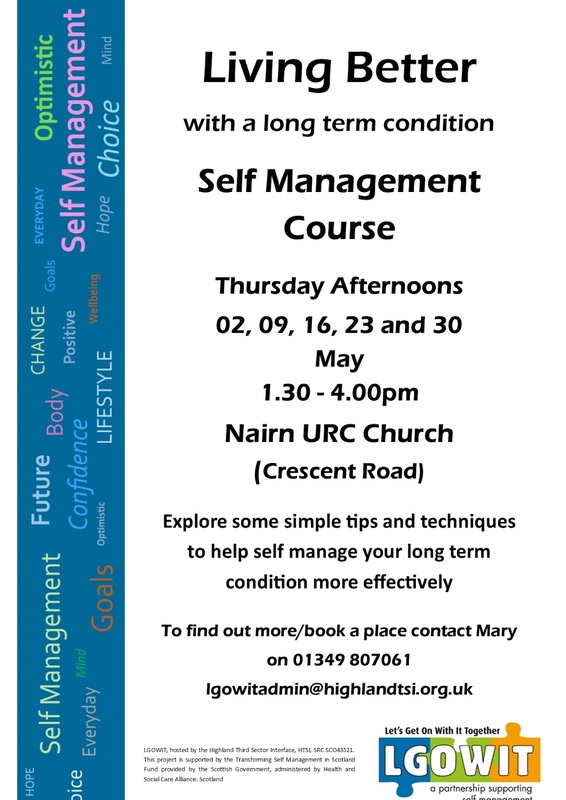 More here on the Courier website. Week four of the regular protest and we went up for a wee blether with the young activists at the railings on the Leopold Street/High Street corner. Bhòt an t-sluaigh. 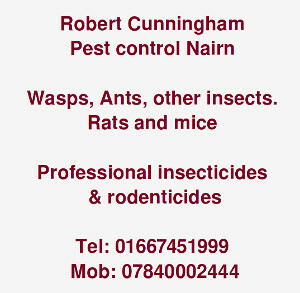 Nach e daoine a bhòt an turas mu dheireadh no an robh e bhòt na Gerbils a bh'ann? Cò aig a bheil fios dè an daineamaigs eile a thig às a ’bhogsa a dh'aithghearr leis an t-suidheachadh cunnartach a tha againn an-dràsta. A bheil am PNA a ’cluich cus de gheama Westminster? Taigh-cluiche Westminster agus bhòtaichean gun chiall le luchd-poilitigs is luchd-aithris a ’snàmh timcheall anns a' mhùn fantasachd aca-fhein gun stad air na sianalan 24/7. Tha e mar mheasgachadh de Yes Ministear agus Beatha Brian. Mas e dìreach taisbeanadh comadaidh a bh ’ann!